This scholarship is in honour of the late Rob Robichaud. Robichaud was the president and CEO of the Greater Moncton Romeo LeBlanc International Airport and lost his battle with cancer in 2014. Mount Allison’s Aviation program is offered in partnership with the Moncton Flight College. The Bachelor of Science degree program is one of only a few in Canada that allows students to earn an undergraduate degree that incorporates flight and ground school training. 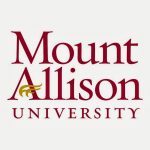 Students focus on subjects relevant to aviation such as geography, mathematics, and physics at Mount Allison; complete ground school training at the Moncton Flight College. Before graduation, students complete over 200 hours of flying , hundreds of hours of ground training, and hold a Commercial Pilots Licence (CPL) with Multi-Engine and Instrument Ratings. The option to complete the integrated Airline Transport Pilot (IATP) course is also available to students. Graduates have a high level of employment immediately following their degree.